To fit tyres sizes 700c x 18-25mm. Valve: Extra long 80mm Presta. As advertised. Extra long valve stem so it works well with my Zipp wheels. Vittoria corsa g+ clincha graphene road tyre. Great tyre for new Zealand roads, went up a size and I'm getting a better ride, very happy and will get more. Bought these for the 80mm stem, for 50mm rims. Adding an extender means adding complication and risk IMO. Good medium-weight tube for everyday, of course I wish it was thicker. Or flatproof. I have been using Conti tubes for years, and never have any problems, there is no need to try anything else ! Excellent tubes. Perfect long length for Mavic Cosmics. Quality Continental. 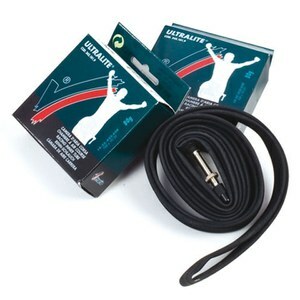 These are an excellent and realiable tube which with a few extra rubber bands fold up easy to a very small spare to carry in your jersey.